and have the newest listings sent to you daily. Interested in getting accurate, comprehensive information about whether a Siesta Key, Florida condo is right for you and your family? You are in the right place. 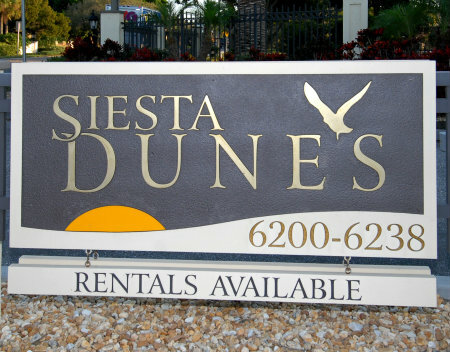 Come in, kick your shoes off and explore this site… your new destination for all things related to Siesta Key condos for sale and all of the ways you can relax and enjoy the good life. Browse through our most popular pages below, Search Listings, or visit our comprehensive communities page for a complete list of buildings. If you are in the market for a condominium by the beach, Siesta Key should be at the top of your list. The reason? There literally is something for everyone here. Regardless of whether your ideal vacation property is an elegant high-rise, an accessible low-rise or a ground floor villa, there are options available to suite almost every lifestyle. Before making a decision, it is crucial that you fully explore all of the real estate options so you can make an informed decision when buying. Let Us Help You With Your Search. Contact us today to connect with one of our experienced real estate professionals. Whether you choose to use your condominium as a vacation home, permanent residence or an investment property with significant rental potential, there are real estate options available to suit your lifestyle and budget. High-rise, which give a one-of-a-kind view. Mid-rise, enjoy the best of both worlds. Ground-floor villas, which gives you the feeling of a beach home at a fraction of the price. Townhomes, enjoy maintenance-free living with the feel of a house. Beachfront condos, dash into the ocean for a quick swim or enjoy the sunset whenever the urge strikes. Bayfront with boat access, which gives the freedom to head onto the water for some boating action. Condominiums on Siesta Key are a life-affirming means to an end, a place to rest your head after days of pursuing all that life has to offer. Here you can enjoy world-class beaches, near-perfect weather and the alluring Sarasota lifestyle. There’s something for everyone… All that is missing is you!